Tragedy has befallen a family in Abia after a fatal car accident took the lives of a couple who were anticipating their daughter's wedding in a matter of days. The couple died after their motorcycle collided with a commercial bus in Ugwunagbo Local government Area of Abia State, 72hrs to their daughter’s wedding. The Nation gathered that the incident, which occurred near a village called Umuaja in Ugwunagbo, left many passengers of the commercial bus wounded as many of them were said to be in critical conditions. 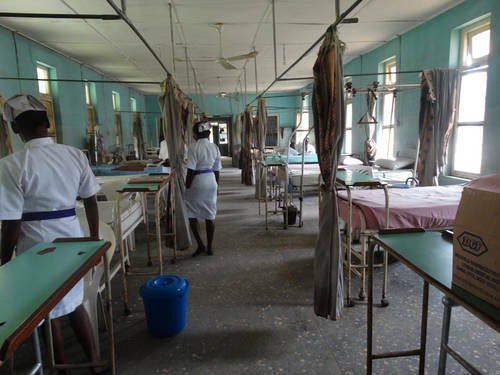 It was learnt that while the husband and wife died on the spot, some of the injured were taken to a nearby hospital for treatment and the critically injured were reportedly referred to Abia State Teaching Hospital (ABSUTH), Aba. Reports have it that one of the tyres of the vehicle busted while the driver was said to have lose control of the car and, in the process, rammed into the couple. A source who pleaded anonymity said that the daughter of the couple would be having her traditional wedding this weekend in their village. “We learnt that the bus was conveying traders from Aba to Umuaja in Ugwunagbo area through Ohanku when the ugly incident happened. They were said to be going to a popular market in the area known as Ahia Ohanku. “The incident caused pandemonium in the area as youths of the area went berserk as they reportedly attacked both commercial buses and commercial tricycle operators. Another source who confirmed the incident said that it was not clear whether they have been able to recover the head of the man that was said to be missing. “What I can tell you is that, it was an ugly sight as many were seriously injured and in critical conditions..."